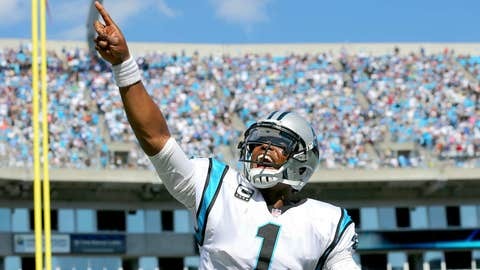 Cam Newton has thrown for 3,049 yards, 21 touchdowns and 11 interceptions. It has been quite a while since the Panthers went into a game with this much at stake. With only two games left, Carolina controls its own destiny. If they are able to win out, they will be NFC South champions and more importantly earn a first-round bye as the No. 2 seed in the NFC playoffs. As tough as the Saints are at home when they hit the road they are simply not the same team. After last week’s loss to the Rams, they find themselves trying to pick up the pieces and keep their season on track. The Panthers boast the second-ranked defensive unit in the NFL by allowing 14.9 points per game and have been even stingier at home giving up a microscopic 11.8 points per contest. Combine this with a running game that has helped Carolina lead the league in time of possession and Ron Rivera seems to have his team poised for a deep run into January. With New Orleans only averaging 18.4 points per game on the road as opposed to 32.9 at home, it seems like a bit of a stretch that they will be able to have much success against such a well-balanced defense on the road. The marquee matchup will be Drew Brees and Cam Newton. But defense and running the ball consistently will be decide the game. Look for a tight matchup the whole way as Newton and his guys outduel the Saints to take a 1-game lead. With Philip Rivers under center, the Bolts are a ridiculous 27-7 during December since 2005. With numbers like this, the only person more clutch during December is Santa Claus. 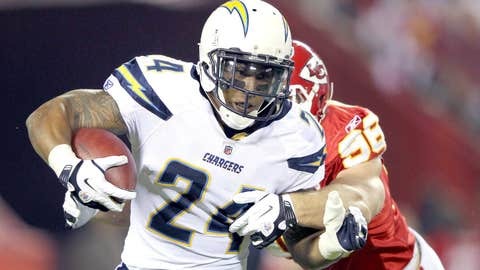 Ryan Mathews is enjoying his second 1,000-yard season of his young career and he finally seems to be hitting his stride as a pro. His fumbles are down and questions regarding his durability seem to have quieted down for the time being. For once Mathews’ overall skillset is being properly utilized for the first time since he was drafted in 2010. Rivers’ success has been aided by the potential Offensive Rookie of the Year. Wide receiver Keenan Allen has averaged 14.8 yards per reception along with seven receiving touchdowns. Not since Vincent Jackson was burning past opposing secondary’s, have the Chargers had a player that was capable of stretching defenses and creating the big play that was once a staple of the San Diego offense. Despite the Raiders 4-2-1 record against the spread on the road, it won’t be easy as the Chargers certainly have revenge on its mind. The Chargers will have 10 days off since their last game. You can be sure they will have the appropriate game plan installed to take care of the lowly Raiders as they keep hopes for a playoff berth alive for another week. Just when everyone was ready to pile on head coach Mark Trestman for starting a rusty Jay Cutler over the hot hand of Josh McCown, Cutler was able to rally his team to a second-half comeback in Cleveland. The win combined with the Lions’ recent shortcomings have the Bears back in first place and controlling their own destiny for the playoffs. Chicago’s offense has been lights out the last two weeks, scoring 83 points and utilizing Alshon Jeffery and Brandon Marshall to expose opposing secondary’s. Both offenses rank in the top 10 and should be able move the ball without much resistance from two defenses that have been the weak link of their teams all season long. The Eagles defense was shredded last week by a backup quarterback (Matt Cassel) and running back (Matt Asiata). 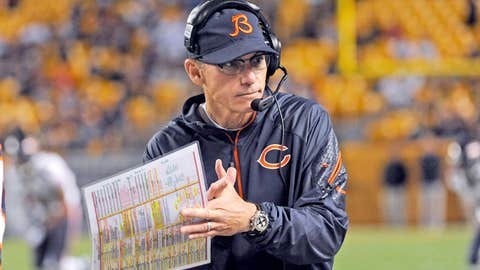 It’s not too farfetched to think that an offense as dynamic as the Bears can put together a similar scoring barrage. With two potential playoff teams matching up, expect a nip and tuck affair that will go down to the wire. Take the points and even if the Bears don’t win the game outright they will still have a great chance to cover the spread. OK, you know the deal. It’s another inter-conference over to whet your appetite. After going 3-1 last week, this astonishing trend now sits at 47-15 (75 percent) for the season and continues to be one of the most consistent moneymakers this year. Not only does Cincinnati feature a top-10 offense, but they have truly dominated at home going 6-0 this season and scoring 199 points (33.1 points per game) over those six contests. 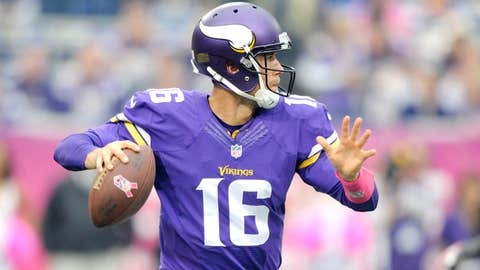 The Vikings offense has also caught fire over the last month despite the revolving door at quarterback averaging 30.7 points per game. Minnesota will receive a shot in the arm with the return of Adrian Peterson to the lineup. Peterson continues on his quest for a second consecutive NFL rushing title, sitting only 122 yards behind LeSean McCoy. Both offenses are trending upward, so look for a wide open, pass-oriented attack that will likely light up the scoreboard and push the total over. Pittsburgh Steelers/Green Bay Packers over ? 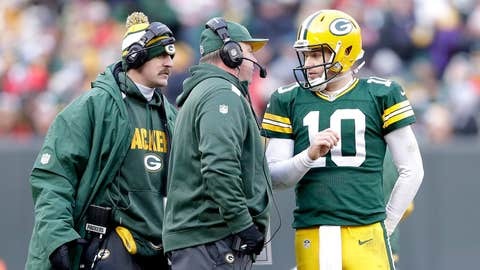 With Packers Nation holding their collective breath in anticipation of whether or not Aaron Rodgers will play this week, the oddsmakers have been very cautious in not releasing a line for this game. Matt Flynn has the hot hand. With the wave of momentum he has been riding, it raises the question if it might be the best option to play even if Rodgers is medically cleared to go. This Super Bowl XLV rematch may not feature many familiar faces from that game, but the talent on both offenses makes this matchup very appealing. Temperatures are expected to be in the single digits. Expect Eddie Lacy and Le’Veon Bell to turn back the clock and provide the kind of smash mouth running that will evoke memories of a time when the legendary Vince Lombardi and Chuck Noll roamed these teams sidelines. With that being said, these are not your father’s Packers or Steelers. Both teams feature a top-10 passing offense and this game could very easily turn into a shootout. This total will more than likely settle somewhere in the upper 40s. But there’s no reason why this game will not get into the mid to upper 50s, despite temperatures that are predicted to be below zero when you factor in the wind chill.